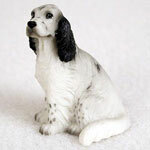 Our collection of dog figurines & figures is one of our best sellers. Made of stone cast resin to ensure consistency and durability. Each figurine is hand painted creating an authentic life like feel. 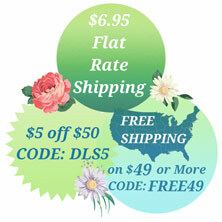 We offer three figurine sizes: mini, medium, and large figurines. The medium figurines are our best sellers. All three figures are available in 212+ breeds and colors. If you don’t see your breed or color, contact us for information on special orders. We can also create one-of-a-kind custom painted dog figurines upon request. Our mini figurines are approximately 2 inches tall. The medium figurines are 4-5 inches in their longest direction. Our large figurines range from 6-8 inches long. Our mini figurines are great for cake toppers, craft projects, and doll houses. They may me small but they pack huge details! The medium figurines are great for displaying in your home, especially on your mantle. Many customers have used them for urns as well. 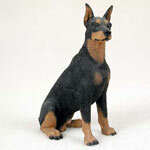 You can’t go wrong with any of our dog statues at Dog Lover Store. Pick your category, find your breed, checkout, and enjoy! Be sure to check out our DIG (Dog in Gait) plaques as well. Each plaque is manufactured, hand painted, and assembled in the USA. Each sign includes a saw-tooth hanger which makes it easy to mount on any wall or fence. A base is applied to the bottom of the figure which allows you to place them on a shelf or a mantle as well.